Making cookies today? 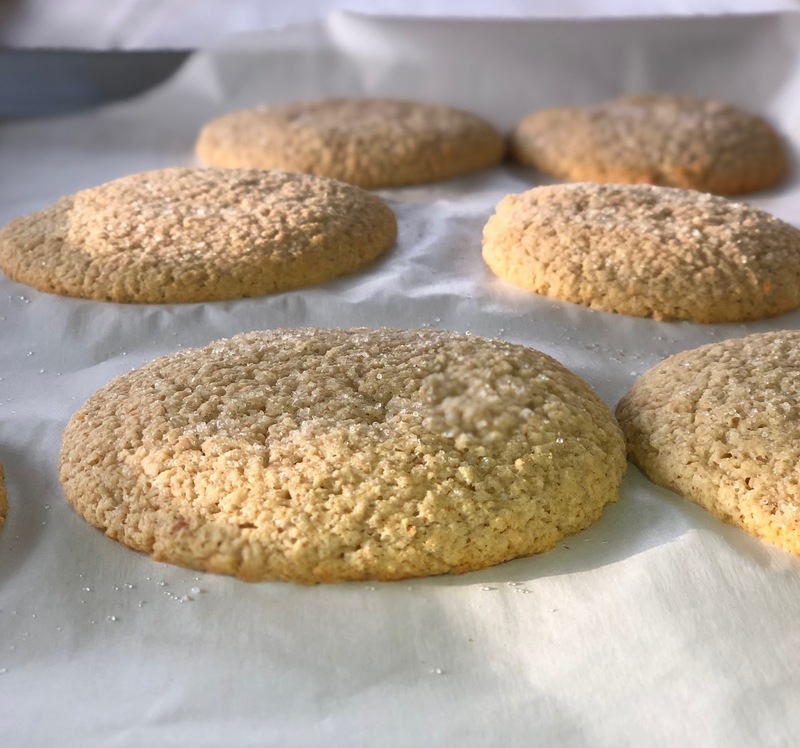 Here is an incredibly delicious sugar cookie which happens to also be nutritious and healthy with only 5 g of sugar by leading Nutritionist and Personal Trainer, Sloane Davis. Mix together the protein powder, oat flour, cornstarch, baking powder, and salt in a medium bowl. In a separate bowl, whisk together the butter, almond milk, and vanilla. Stir in the granulated sugar. Preheat the oven to 350°F, and line a baking sheet with parchment paper or a silicone baking mat. To prepare the topping, place the sugar in a small bowl. Create balls from the cookie dough. Place the ball of cookie dough in the bowl of sugar. Make sure it is fully coated and place on the prepared baking sheet. If the cookie dough was chilled longer than 1 hour, flatten the cookie dough balls slightly. Bake the cookies at 350°F for 10-12 minutes. She has been featured in People, Fitness Magazine, New Beauty Magazine, Apple News, The Daily Mail, Yahoo News, FOX Good Day New York, FOX Good Day DC, NY1, Bay Area Focus, Women’s Fitness, Womanista, Livestrong, Mind Body Green and Westchester Magazine. It’s that time of the year again! 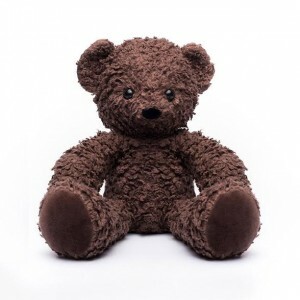 With Christmas sneaking up on us once again, Tiny Green Mom has put together their ‘Top 5 Eco-Gifts for Babies & Toddlers!‘ While the tiniest member of your family may be more intrigued by the twinkling lights, wrapping paper, and boxes, Mom and Dad will appreciate the following gifts for little ones! 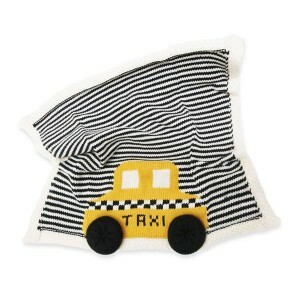 This adorable and super-soft organic cotton lovey features an iconic NYC taxi, and is made perfectly-sized for tiny hands! 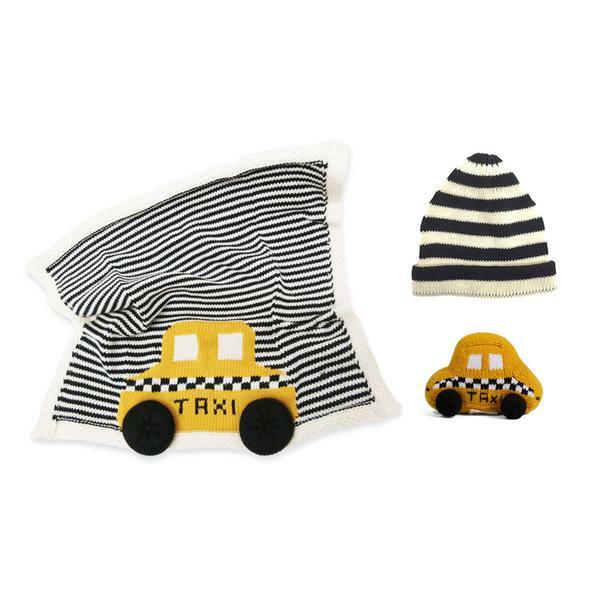 With bold black and white stripes, tactile pom poms for the wheels, and a plush knit cotton feel that makes it easy to cuddle and hold, the Organic Taxi Lovey is a fantastic eco-stocking stuffer this holiday season! Hand knit in Peru. Machine wash on gentle. 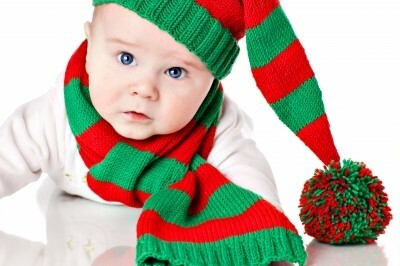 For additional ideas for baby’s 1st Christmas, check out their gift guide, too! 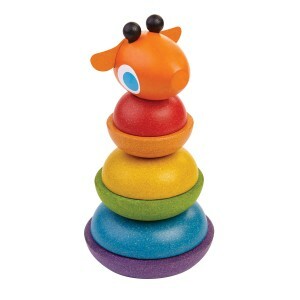 A favorite last year, Gunapod continues to make our eco-friendly gift list! 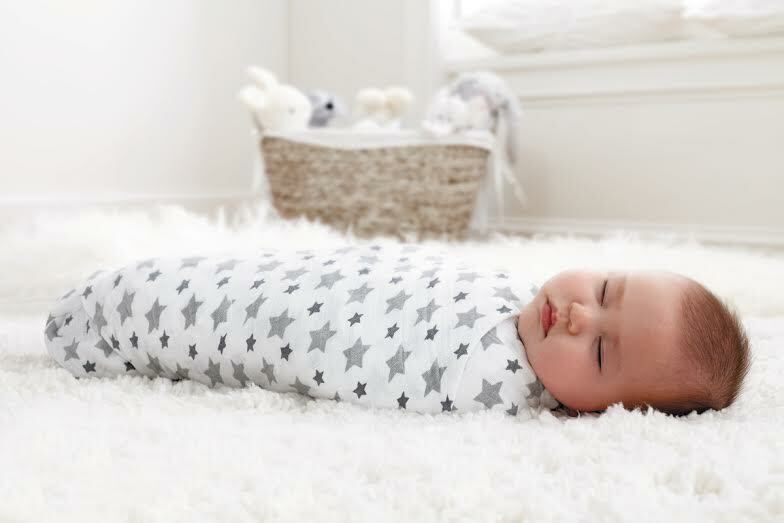 With gorgeous new prints and sizes that fit infants to toddlers, your little one will stay toasty and warm all night long in this safe, smart, and extremely soft wearable blanket! (Yes, we wish it came in adult size, too!) Like sleeping wrapped in a cloud, Gunapod features the WONDERZiP® system for easy changing in the night and temperature control to prevent overheating. The WONDERZiP® opens completely from underarm to underarm, with 4 separate pulls functioning in a multitude of ways as you choose. Generously sized for maximum comfort, Gunapod provides baby with plenty of space to fold legs or spread out, as well as move arms freely. In addition, you can unzip the Gunapod® along the bottom to accommodate a carseat or stroller safety strap, which allows your baby to kick freely. Gunapod® adheres to the strictest standards of the American Academy of Pediatrics and the CPSIA. Now that our little guy is a toddler, we love that it prevents him climbing out of the crib, too! Tuck these favorite teething biscuits into your little one’s stocking! 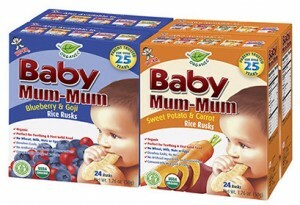 Baby Mum-Mum now offers two new organic varieties…Organic Sweet Potato & Carrot and Organic Blueberry & Goji. These all-natural teething biscuits are always a hit with my little teethers, and now that my youngest is a toddler, the line has Organic Strawberry Rice Biscuits for toddlers! Baby and Toddler Mum-Mums are made without GMOs, artificial flavors and preservatives. Gluten, lactose, egg and peanut-free. Plus, each serving is individually wrapped for convenience, making it a breeze to take a few along in a diaper bag or purse! 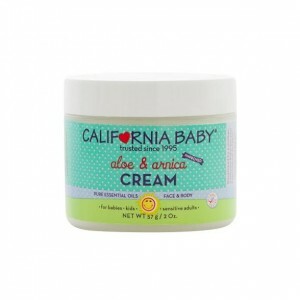 Olen Cosmetics’ Baby Butz cream is a trusted brand, recommended by pediatricians and used in hospital neonatal units. 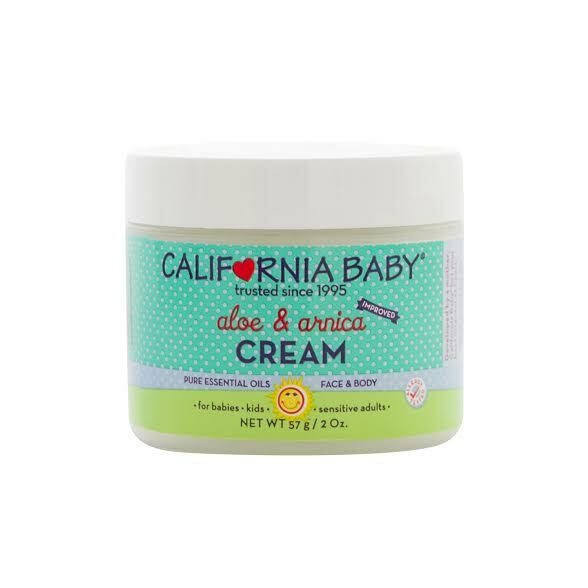 Baby Butz cream is a barrier and a healing cream that prevents and relieves diaper rash in as little as 4 hours. It’s all-natural, free of perfume, alcohol or chemicals. 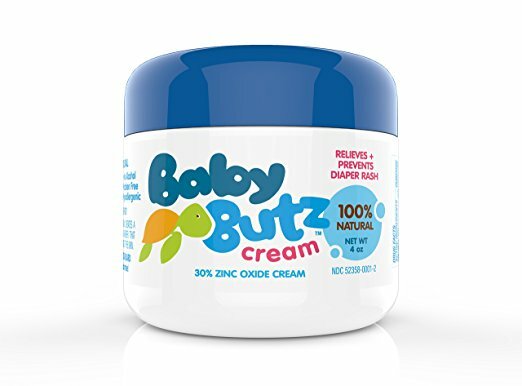 Baby Butz Cream can be purchased on www.amazon.com. Is your little one learning to self-feed? The gift of Pure Spoon will be a welcome one! 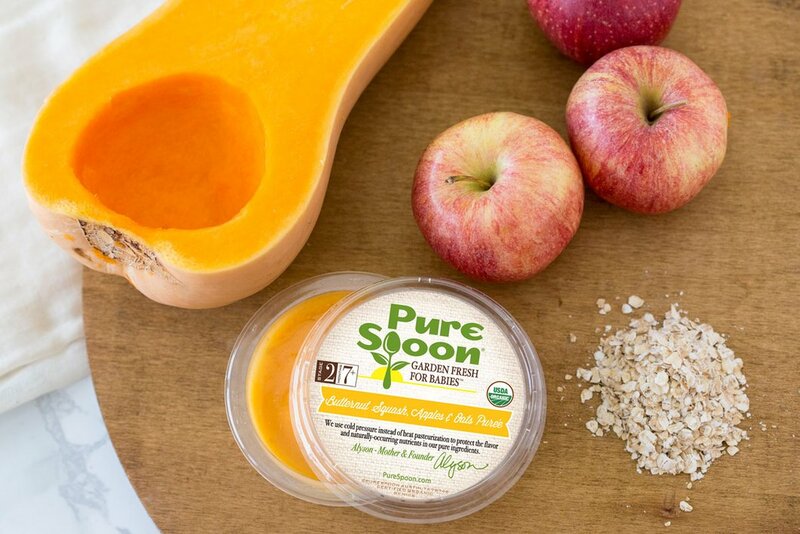 Pure Spoon Fresh Organic Purées are 100% fresh certified organic fruits and veggies that are cold pressed, cold packed and delivered right to your door! Yes, your little ones will love them… and you will love that they are nourishing their growing bodies. Flavors available include Apples & Broccoli, Blueberries, Bananas & Apples, Butternut Squash, Apples & Oats, Carrots & Zucchini, Creamy Avocado & Apples, Simply Apples, Simply Carrots, Simply Pears, Spinach, Pear & Bananas, and Sweet Potato & Apples. 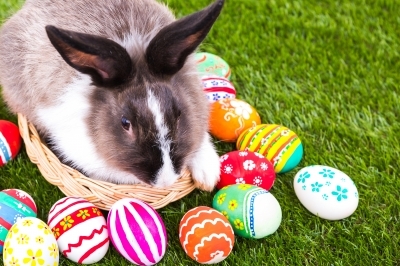 Instead of chocolate bunnies, jelly beans, and other sugar-filled treats, we have compiled our favorite Easter basket surprises that children will delight in finding on Easter morning! We think that they are just as sweet! Make Easter morning extra magical by taking your little one on an “eggs-traordinary” egg-hiding adventure around the world! An Easter Surprise gives your child the chance to plan his or her very own Easter mission! 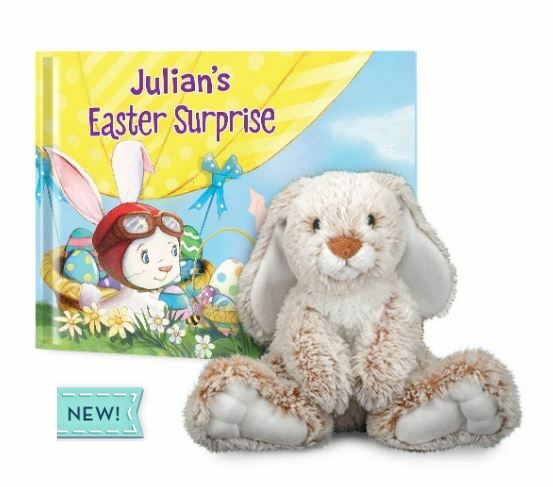 Soaring as high as the moon in a hot air balloon, delivering eggs all over town, and stashing tasty treats all down the streets, your little one will be thrilled at the surprise twist in this Easter adventure! Looking for a cute and egg-citing outfit to place in your child’s Easter basket? At Tenth & Pine, they offer a variety of gender neutral clothing pieces that will help your little boy or girl look their Sunday best! With everything from footwear to rompers, onesies, beanies, tees, and leggings, you can pick out the perfect outfit for them. Keep your little one up with the latest fashion as they go on their Easter egg hunt! 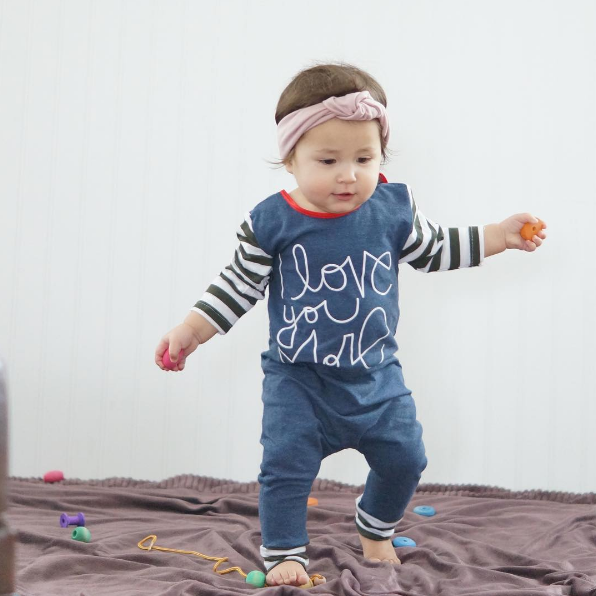 “Mom’s” pick for her little guy – a full length romper that moves easily for all of the running and playing he does! Available in sizes for a newborn all the up to a 4-year-old toddler! 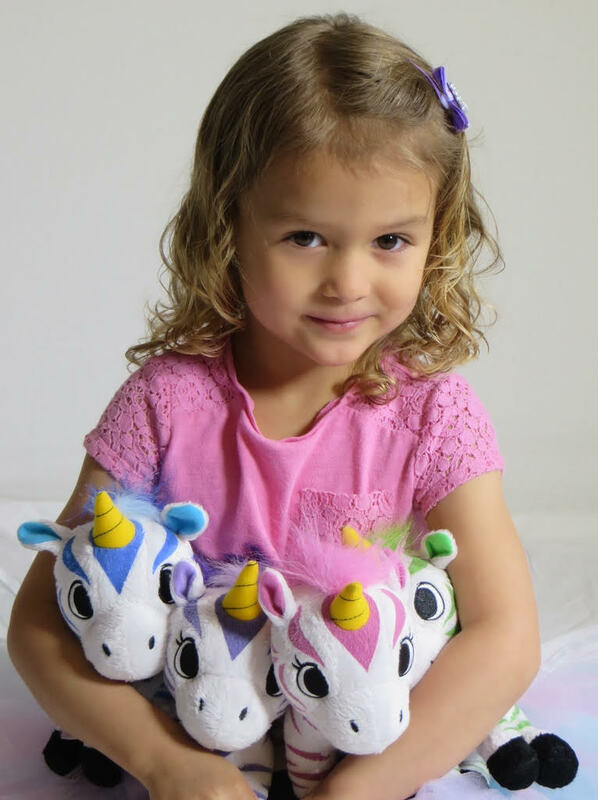 If you have a child who loves unicorns, they will love finding one or more of the Zoonicorns inside their basket on Easter morning! Zoonicorns are a collection of four adorable plush toys that are a combination of an exotic zebra and mythical creature, each with their own unique and loveable personality. In addition to the plush toys, Zoonicorn offers a new children’s app, online games, and stories that make the perfect gifts to stimulate your child’s mind, sharpen critical thinking skills and discover prominent life lessons through magical adventures. 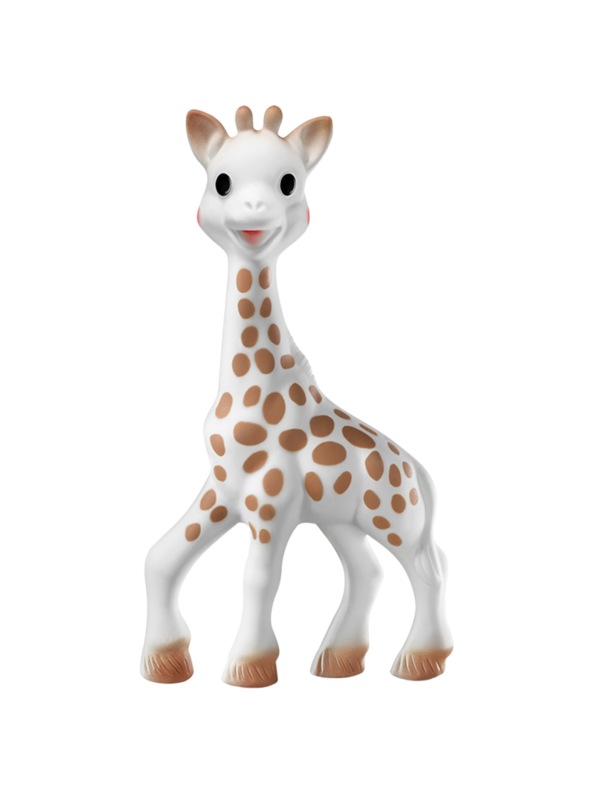 Named Valeo, Aleil, Ene or Promithea – your child will love seeing a favorite creature brought to life on the new app! If you are traveling over the holiday, the app will engage and inspire your child on a long car or plane ride! www.zoonicorn.com. Give the gift of an adorable Easter outfit, or a special outfit to wear throughout the year with Wee Blessing. Wee Blessing is a professional children’s styling service tailored to your taste, budget and lifestyle that helps you feel your best and gives you back what matters most… your time! Wee Blessing provides parents and children hand-picked outfits from the most-popular and top name brand companies for 40-60% off retail price. Available for newborns to children aged 14 years-old, you pick the box that works best for you. 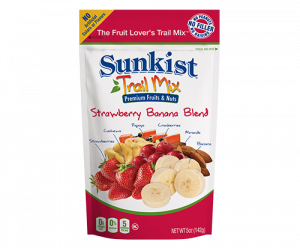 If you want to add a treat that is nutritious and delicious, Sunkist Snacks’ new Sunkist® Fruit Lover’s Trail Mix™ Single Serve packs are a perfect choice for a healthy Easter basket. 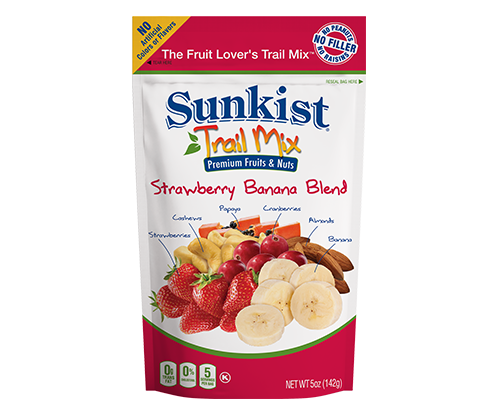 Small enough to fit in an Easter egg, Sunkist Snacks single serve packs contain delicious premium fruit and tree nuts (no low cost fillers like raisins and peanuts) to give you and the kids a satisfying, perfectly portioned snack. Choose from Strawberry Banana Blend, Pineapple Coconut Blend and Breakfast Espresso & Granola Blend. The Strawberry Banana Blend is a definite kid-pleaser with Cranberries, Banana Chips, Papaya, Strawberries, Almonds, and Cashews! We love that there are no artificial colors or flavors… just 6 nutritious ingredients! 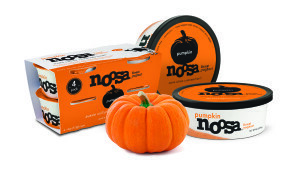 Sold at major grocers such as Walmart and Ralph’s as well as online at SunkistSnacks.com. It’s that time of the year again! 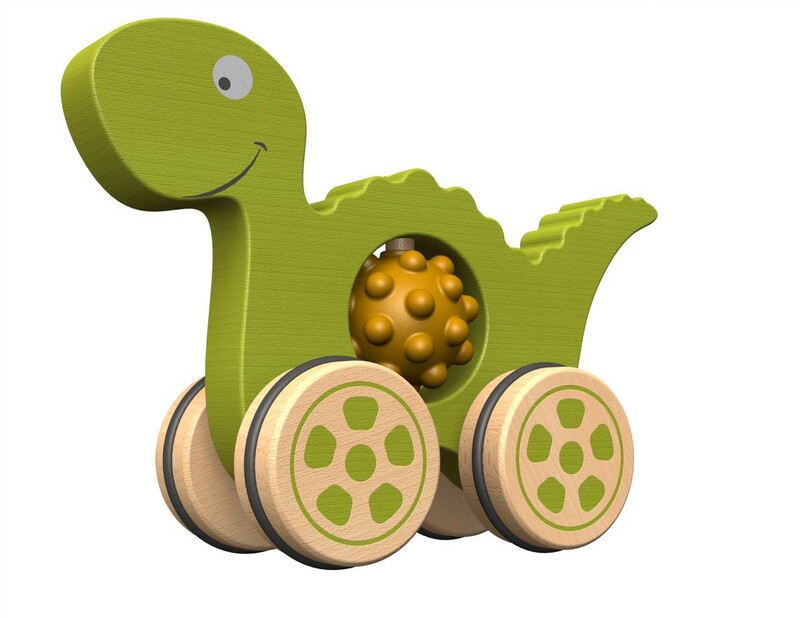 We have put together our absolute favorites this year for the tiny eco-babies in your life! 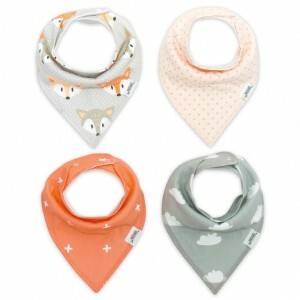 For stylish little droolers, MatiMati Bandana Bibs are “Mom’s” new favorite for her little guy! Made with 100% organic cotton, these super-soft and extra-absorbent bibs are as functional as they are practical…and your baby will look absolutely adorable, too! No velcro here – the bibs feature two nickel-free adjustable snaps so the bib can adjust as baby grows, and will not irritate delicate skin. Snaps stay put, too, making it more difficult for little fingers to pull off! Available in a variety of trendy patterns that go with baby’s outfits, rather than clash with them, MatiMati Bandana Bibs are sold in a set of four for $21.95. 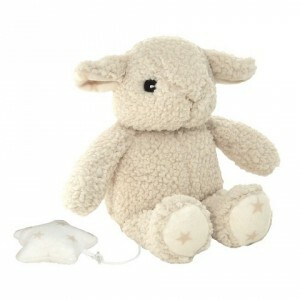 Visit www.matimatibaby.com. Does your little one use a paci? 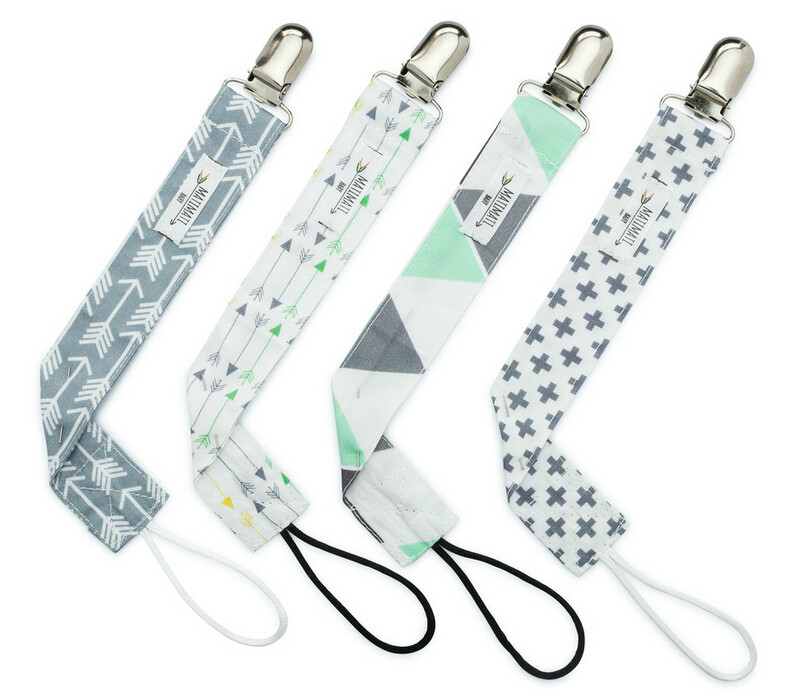 If so, grab a 4-pack of these stylin’ pacifier clips from MatiMati Baby, available in the same on-trend patterns and prints as their fashionable Bandana Bibs! No more worries for parents about losing pacifiers at home or on-the-go, the pacifier clips keep your child’s pacifier close by and off the ground! The clips can also be used for teething toys. 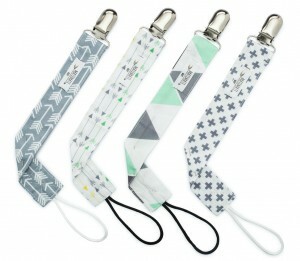 With cute patterns to match all of your baby’s outfits, MatiMati Baby Pacifier Clips can be found at www.matimatibaby.com. Safe + fun = a win-win for parents of little ones! Have you ever squeezed a bath toy only to be blasted with scary black chunks of mold? Most bath squeezers on the market are breeding grounds for molds that you don’t want your little one’s bathing in (or even worse drinking). YUCK! Break the mold cycle with Marcus & Marcus’ NEW Mold Free Squirting Bath Toys that allow parents to clean and air dry the toys after each use to prevent mold growth inside. 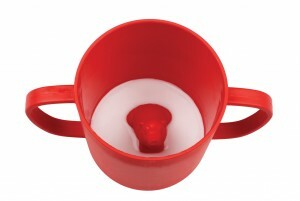 The soft silicone material also makes it perfect for babies to hold and play with providing hours of bath time fun! Each Marcus & Marcus Toy is BPA Free, PVC Free & Phthalate Free 100% Smell Free and it’s made with nontoxic silicone, so it’s completely safe for kids. 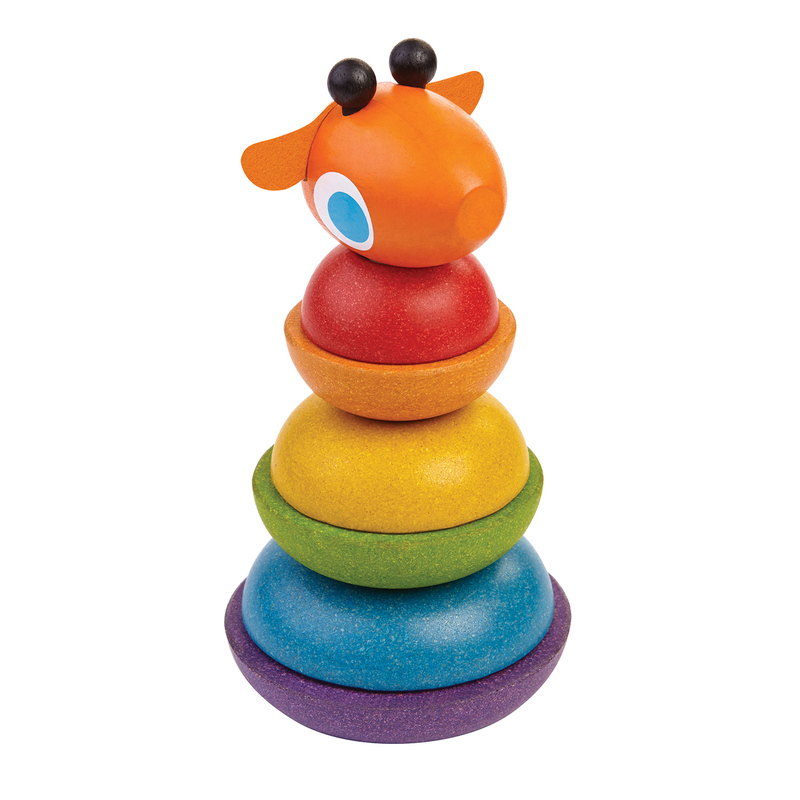 Available in 5 animal characters (Marcus the Lion (Red), Pokey the Pig (Pink), Lola the Giraffe (Yellow), Ollie the Elephant (Green and Willo the Whale (Purple), as well as a Submarine or Rocket Ship. $7.99 – $9.99. Available online at www.Sears.com. This is the perfect stocking stuffer for a mom with a little one! Chewbeads offers teething jewelry for moms that are completely safe for infants! Not only is the jewelry fashionable, but the soft silicone that’s used in the jewelry won’t hurt emerging teeth or sensitive gums. Chewbeads do not contain lead, BPA, phthalates, cadmium, or other metals, so you can let your little one chew to his or her heart’s content. Breakaway clasps enhance the overall safety of the necklaces, as little fingers do like to tug & pull! Plus, the jewelry can safely be washed in the dishwasher. Visit www.chewbeads.com. 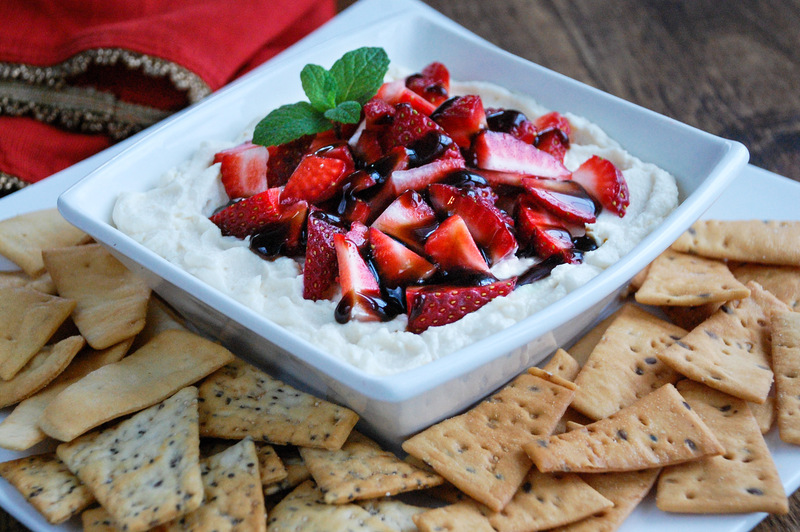 Delicious red organic strawberries delight the senses in this dessert dip that is almost too pretty to eat! 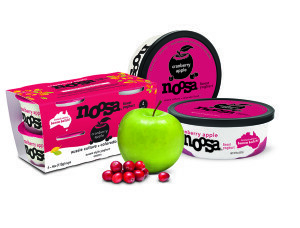 Paired with crisp New York Style Pita Chips, this is sure to be a crowd-pleaser this holiday season! Beat mascarpone with ricotta, maple syrup, and Grand Marnier in large bowl with electric mixer until thoroughly combined and smooth. Spoon mascarpone mixture into serving bowl. Top with strawberries and drizzle with balsamic glaze. Serve with New York Style Pita Chips. 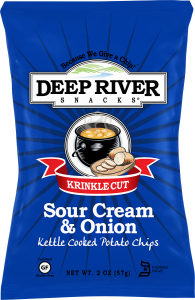 This holiday season, and beyond, you can inspire others to ‘give a chip!’ Deep River Snacks’ offers a wonderful and simple way to give to others while at the same time giving back to what matters most to the recipient with their Chips & Charity gift basket for the holiday season! As charitable giving is a growing trend, this is a perfect gift for anyone from your loved ones to co-workers! Essentially who loves to give back, it’s the gift that keeps on giving! Chips & Charity is a delicious assortment of kettle chips + a $10 charity gift card that the recipient can use to make a donation to the non-profit of their choice via justgive.org. 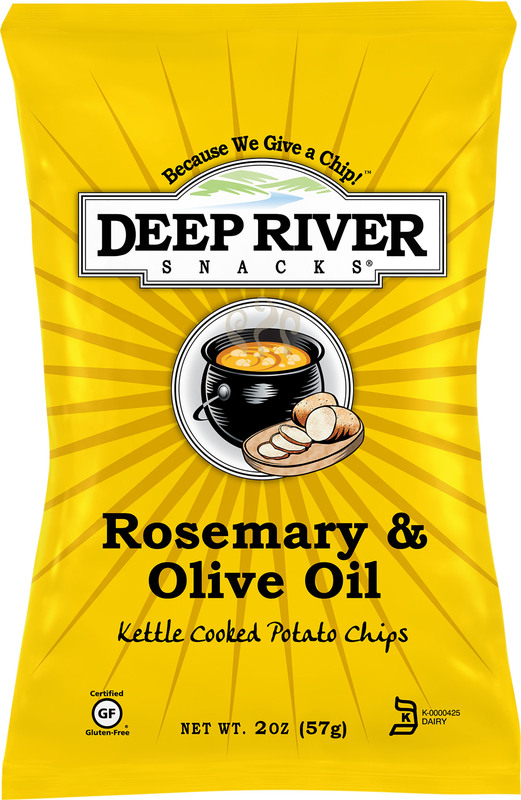 These aren’t just any chips – Deep River Snacks’ are proudly made in the USA without artificial colors, flavors, or preservatives, and they are Non-GMO, Certified Gluten-Free, and Nut-Free, too! 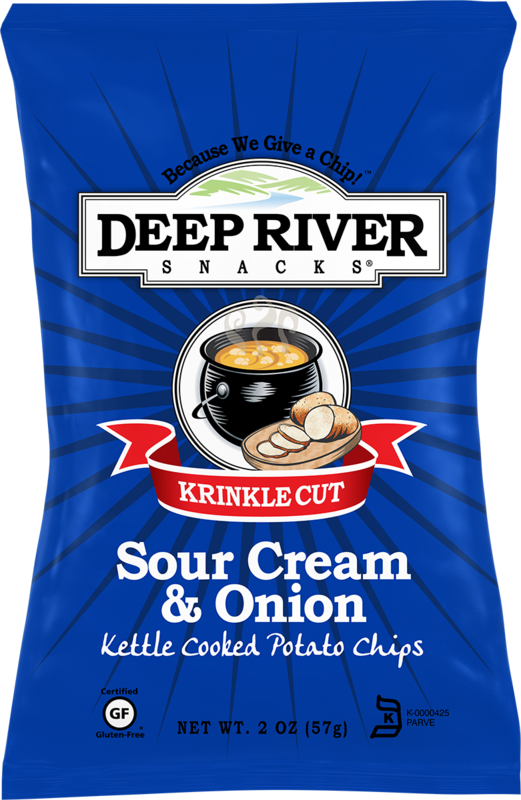 In addition, each bag features a great charity partner with a back story that means something important to a Deep River Snacks’ founder or employee. The $10 gift certificate is redeemable on justgive.org and allows the recipient to choose from over 2 million charities! What non-profit did “Mom” choose? Lucy’s Love Bus! This incredible organization allowed “Mom’s” daughter to receive Traditional Chinese Medicine while battling neuroblastoma, a rare childhood cancer, for close to three years. Unfortunately, “Mom’s” oldest daughter passed away at the tender age of 5 this year, and this will be her first Christmas without her sweet daughter. Giving back to Lucy’s Love Bus was truly such a wonderful way to honor her little girl and bring hope to other families going through similar situations this holiday season! Available for purchase on Amazon.com for $24.99, which included 12-2oz bags + $10 charity gift card. 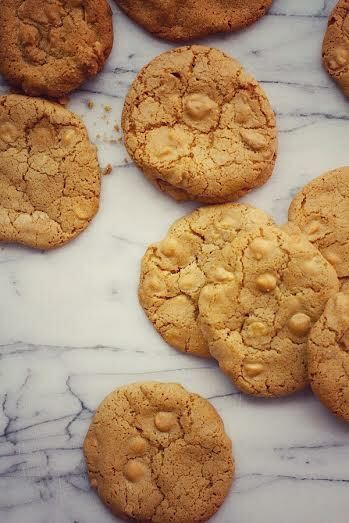 Tis’ the season to indulge, and why not indulge in these delicious White Chocolate Ginger Cookies made with fresh ginger, vanilla paste and white chocolate chips? Preheat oven to 350º F. Line a baking sheet with parchment paper and set aside. In a large mixing bowl, whisk together the flour, ginger, salt and baking soda. In the bowl of a standing mixer fitted with the paddle attachment, or using a hand mixer cream together the butter and sugars. Add the eggs one at a time, mixing until fully combined. Add in the vanilla paste and ginger, mixing until just combined. Gradually add in the flour mixture 1 cup at a time. Add the white chocolate chips. Drop by the heaping tablespoon full onto the prepared baking sheet and bake until lightly golden (12-15 minutes), cookies will appear still slightly soft in the middle, but will set up firmly as they cool. (Note: For smaller, less decadent cookies use a teaspoon measure and bake for 8-10 minutes). Using a spatula, remove cookies from the parchment to cool. Repeat with the remaining cookie dough. Makes 2 dozen big/over indulged cookies. Makes 4 dozen smaller/less decadent cookies. Tiny Green Mom has put together a wish list for the tiniest ones on your gift-giving list this year! 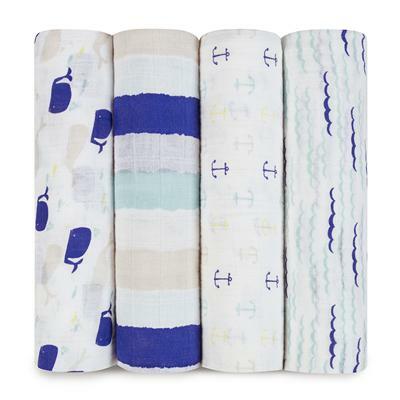 From super-soft swaddle blankets and bibs to the perfect eco-minded toys for tots, these gorgeous finds for babies and toddlers will please both children and parents alike! 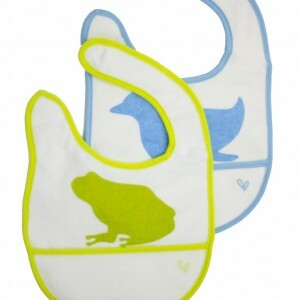 For babies that have moved onto solid feeding, jj rabbit has designed an incredible eco-conscious bib for your little one! Made from organic cotton, this practical bib is also waterproof (without the plastic!) and has a convenent catch-pocket to help keep messes to a minimum! 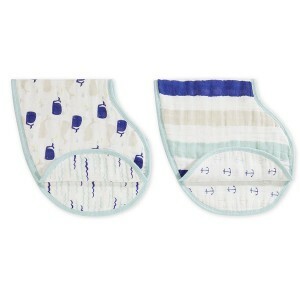 “Mom” loves that the dryBIB™ is machine-washable as well as BPA-Free, Phthalate free, and PVC Free. It is designed for babies ages 3 – 18 months. Classic toys for little ones, these earth-friendly toys exclusively from PBS KIDS & Whole Foods Market® inspire creativity and spark imaginative play! Made using responsibly-sourced materials, including PlanWood, which is high density fiber composite wood from rubber trees, as well as organic color pigment, and rubber wood. 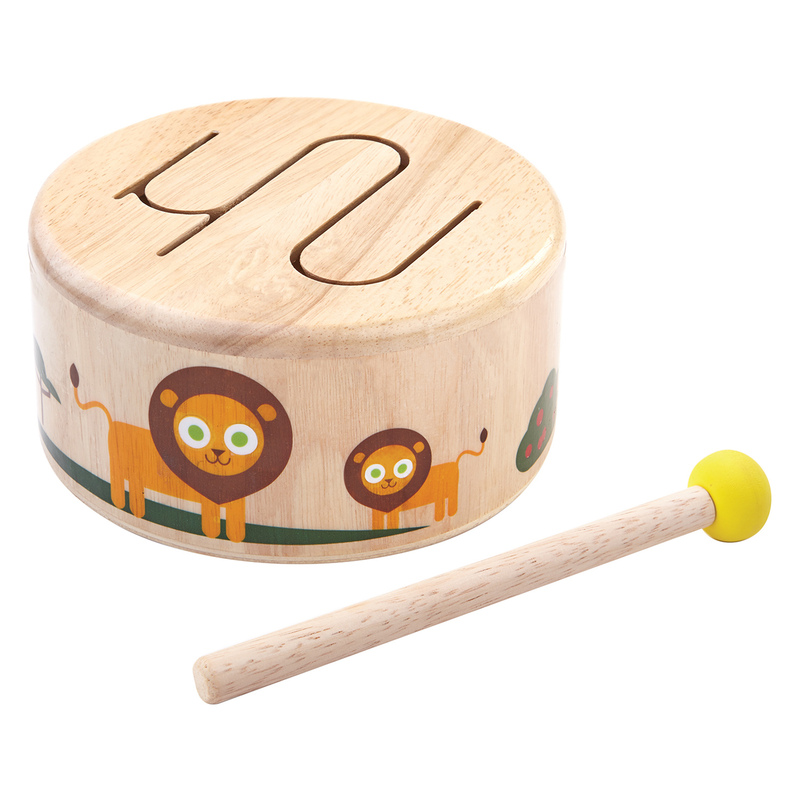 The xylophone & drum are tried and loved musical instruments that little ones love, and the wooden Stacking Giraffe provides hours of laughter & fun! 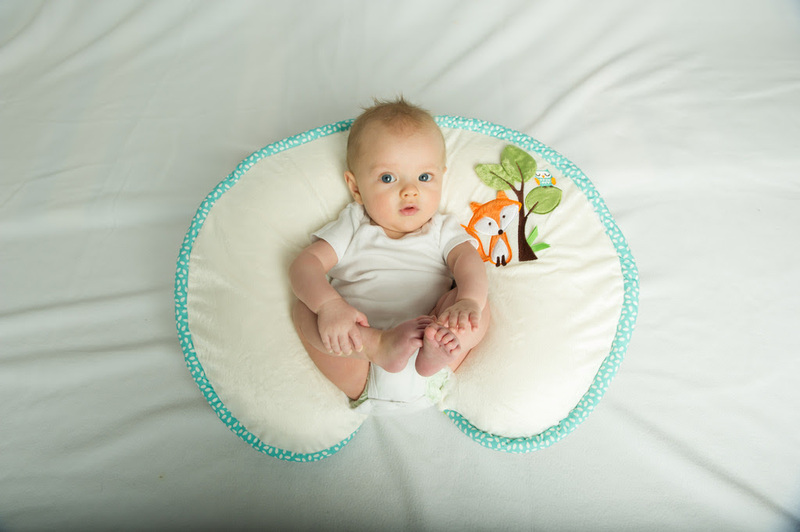 Boppy, Shutterfly and Tiny Prints have announced an amazing offer for those who purchase an Original Boppy Pillow. Through December 1, 2015, purchase a specially marked award-winning Original Boppy Pillow (Bare Naked, Slipcovered, Heirloom and Luxe versions) and inside the package you’ll receive a coupon for a FREE $29.99 Shutterfly photo book and $20.00 towards your next order at Tiny Prints ($50 value). Perfect for capturing all of baby’s first! In the midst of the holiday bustle, it’s easy to fall short on good eating habits. 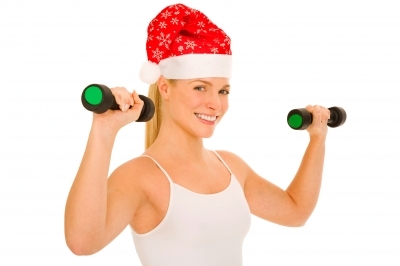 Heeding five hints, however, can help you celebrate a happy holiday season with family, friends and feeling good about yourself. 1. Focus on fun. Holidays often revolve around food and spending time with your loved ones. This year, try a new activity that the entire family will enjoy. Step outside the box and create great memories you’ll have forever. 2. Motivate now. Don’t wait for the New Year to get started on your resolutions. Try integrating best practices into your life today. Aim to take a daily walk or eat vegetables with every meal. 3. Indulge in moderation. No need to skip your favorite seasonal foods. You can still enjoy all the delicious holiday treats without the guilt by planning your portion size and sticking to it. 4. Sip seasonal. Holiday beverages can be delicious and festive. Try a glass of R.W. 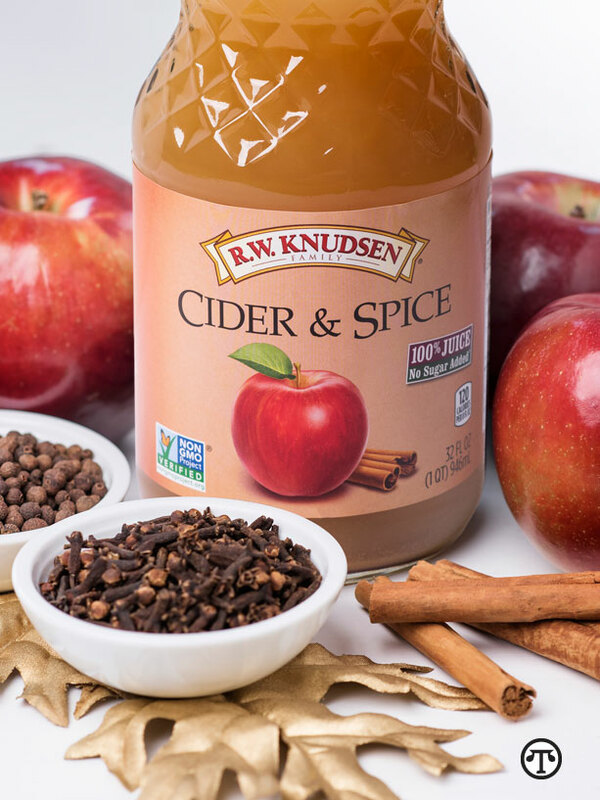 Knudsen Family® Cider and Spice, made with 100 percent juice from ripe, whole apples and naturally flavored with allspice, cinnamon, cloves, lemon peel and orange peel. Combine all ingredients in a large saucepan. Simmer 20 to 25 minutes. Strain mixture. Divide warm liquid among individual mugs and garnish with a cinnamon stick, if desired. 5. Enjoy simple things. Using R.W. Knudsen Family® Just Juice® can be the key to creating simple salad dressings, reduction sauces and marinades. R.W. Knudsen Family® believes great juice is the result of great fruit—so for more than 50 years, it’s produced quality juice products, including more than 100 types of natural and organic fruit and vegetable juices, carbonated fruit beverages and specialty items. For facts and recipe ideas, see www.rwknudsenfamily.com and www.facebook.com/RWKnudsen.